Take your brown lunch bag and have the kids fold this down a few times. 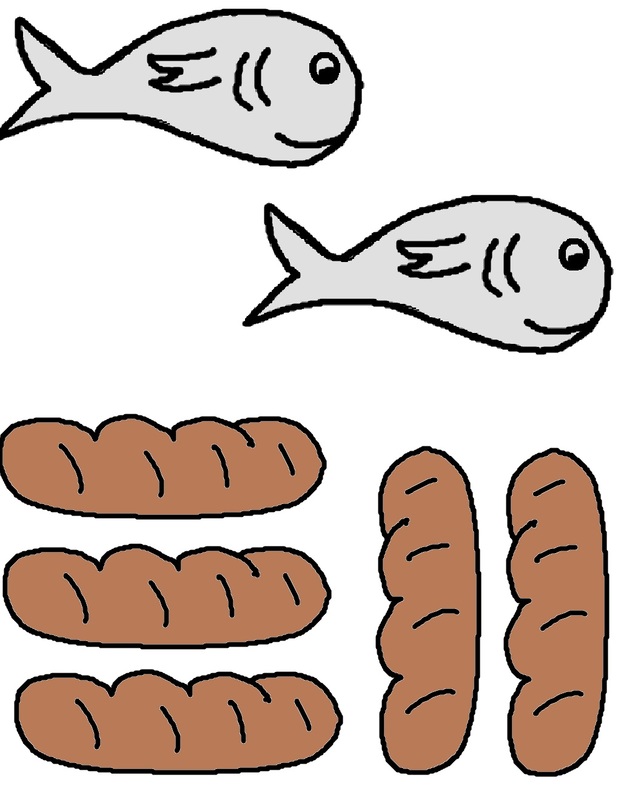 Print the fish and loaves template out and have the kids cut the fish and bread out. Have them put tape on the back of the pictures and tape them to the inside of their bag. Make sure they are sticking up out of the bag. Write their name on the front of the bag when they are done. 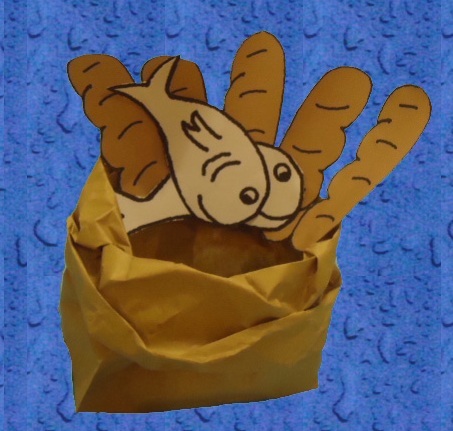 After the kids were done making their craft I gave them a fish and loaves snack. Then after the snack they played the fish and loaves game.